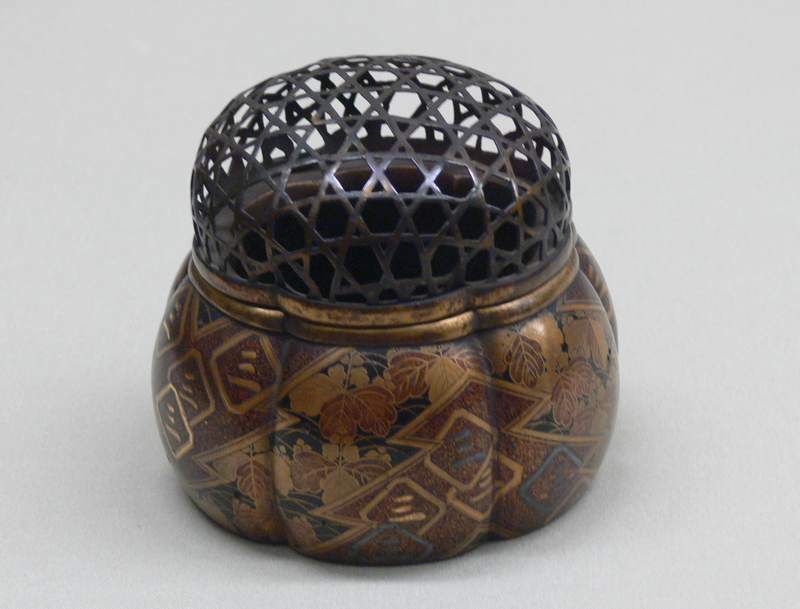 Description: Maki-e lacquer Incense burner, with Paulownia crest and tray. 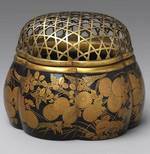 Maki-e is Japanese lacquer sprinkled with gold or silver powder as a decoration using a makizutsu or a kebo brush. 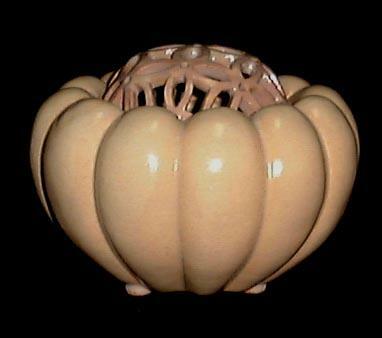 Paulownia tree is known in Japanese as kiri ; it is also known as the "princess tree". 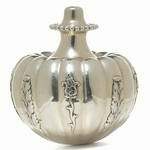 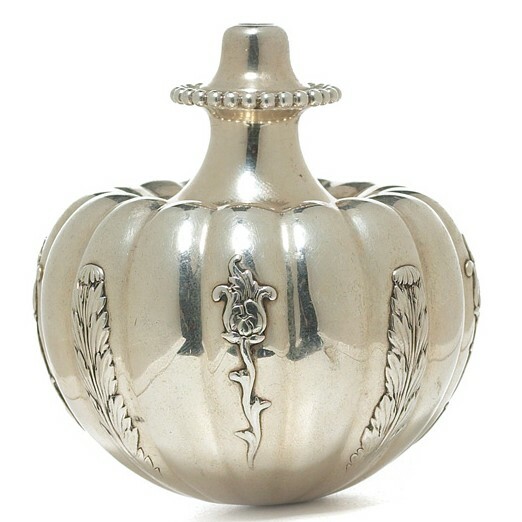 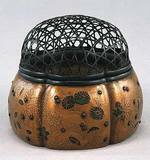 Description: Bronze pumpkin incense burner, having a lid that opens, but appears stuck. 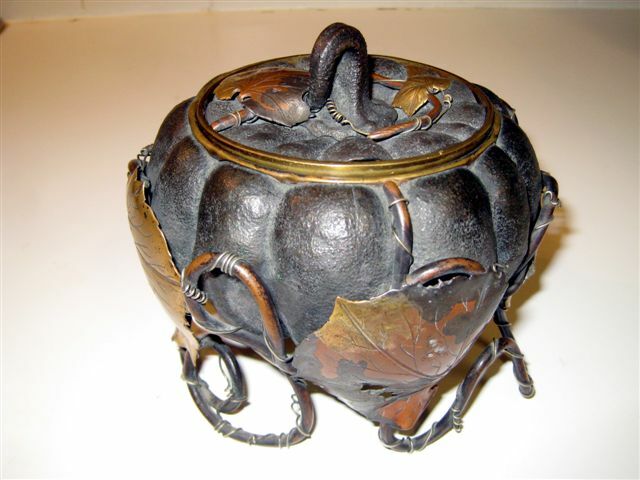 It is decorated with 8 or so various sized leaves made from several different metals : copper, and some other gold colored metal, and metal vines that surround the pot and form the legs of the pot. 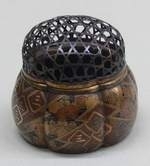 Description: Six-lobed incense burner (akoda koro). 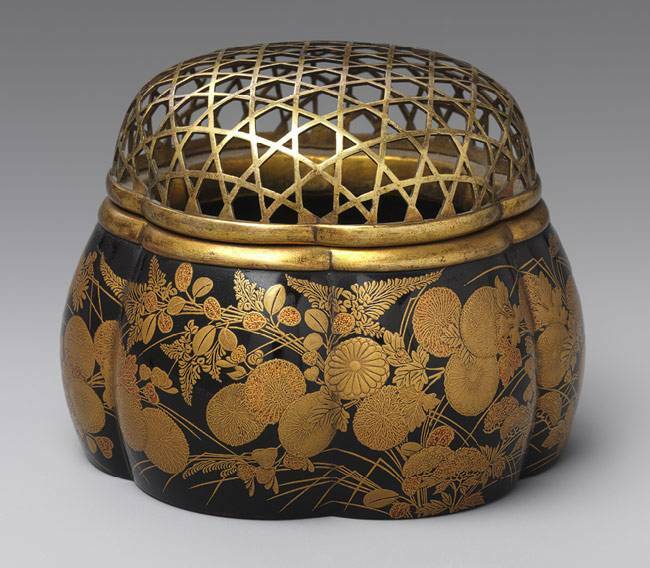 Black lacquer with decorations in ground gold, pear-skin sprinkling, line drawing, omitted line drawing, and needle drawing; metal rim and lattice work metal cover (8.3 x 9.8 cm). 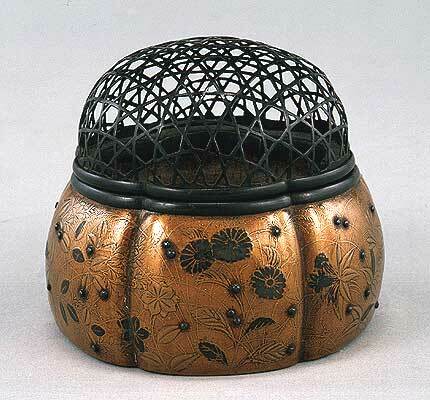 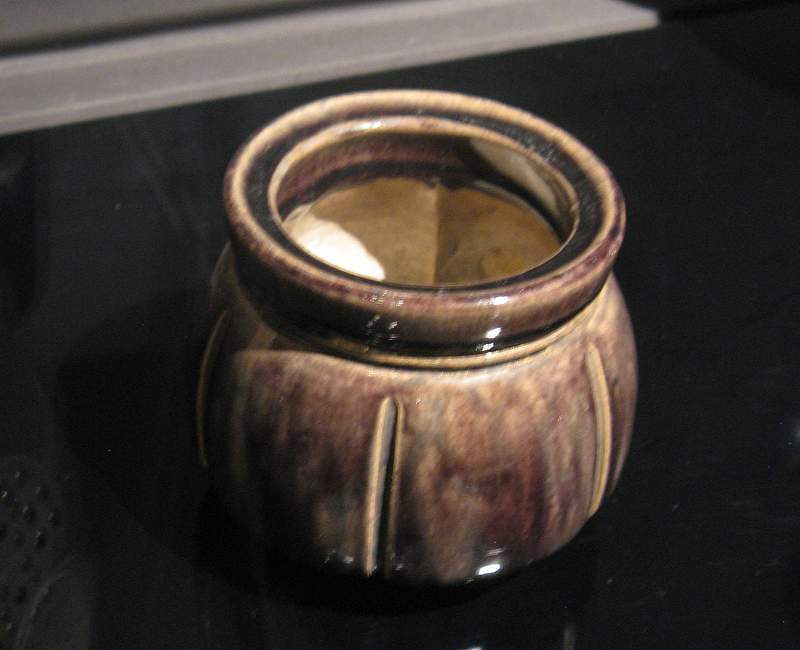 Description: Incense burner made by Eiraku Ryozen, Japanese ceramicist and member of the Eiraku family, in Kyoto.